North South Travel is pleased to offer valued clients discounted parking rates for the jetSet Parking lot and Park N Fly, at Vancouver Airport! These are exclusive savings that not everyone has access to so make sure you make the most of it! We can also apply discounts at other Canadian airports, just ask us for more details! Park’N Fly is located just minutes from Vancouver International Airport and offers a premium “Stress Free” Valet service in a well lit, fenced-in, and electronically monitored facility. Offering a fast & efficient shuttle service, 24 hours a day with friendly and professional staff. You may enjoy complimentary freshly brewed coffee and tea, local telephone calls, newspapers in the seating area. Luggage assistance is also available. For your convenience Time Saving Vehicle Maintenance Services are available* while you are away (ie. Car Wash, Oil Change). *additional cost. - Just quote this number at the counter to receive the discount – can be used for both leisure and business travel. Individuals that travel frequently and like to park at the airport can register online to expedite their service and receive the discount automatically every time they park! Join the Rewards Program with Park’N Fly Canada, please register by clicking here The discount code is embedded into this link. * By Pass the counter line by using the card at our kiosk machines. * Receive Corporate Discount Rates automatically every time you park– just swipe and save! * 150 Aero plan points for each stay will be added to their profile per stay. * Earn loyalty points which goes towards FREE PARKING * Receive a text message when you land to have your car ready upon your return - No need to call in: click Yes to receive the text messages when registering. There are no news or deals sent via Text. 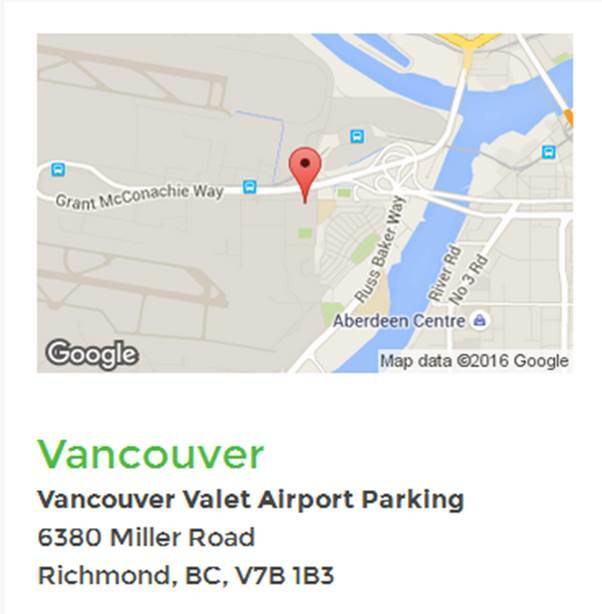 JetSet parking at YVR offers clients a discount when booking and pre-paying at www.jetsetparking.com/yvr. You will receive an additional discount with our exclusive promo code. Where it asks for a promo code, just insert NSTravel. We suggest that you book your parking at least 2 weeks prior to departure. You do need to take a short shuttle to/from the terminal.